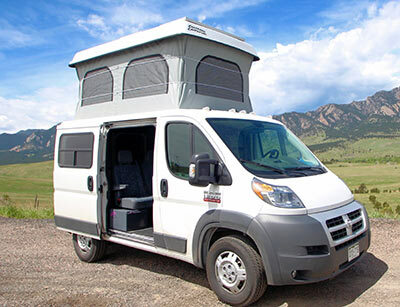 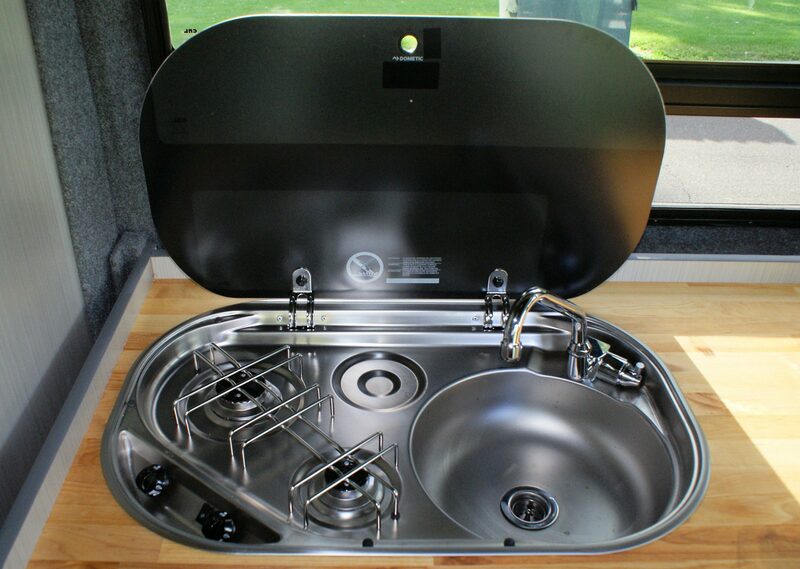 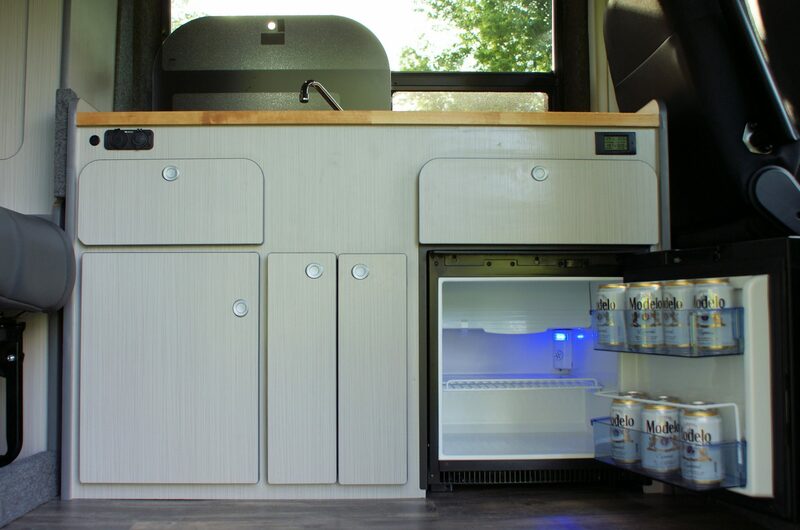 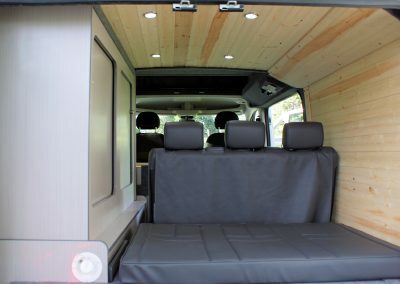 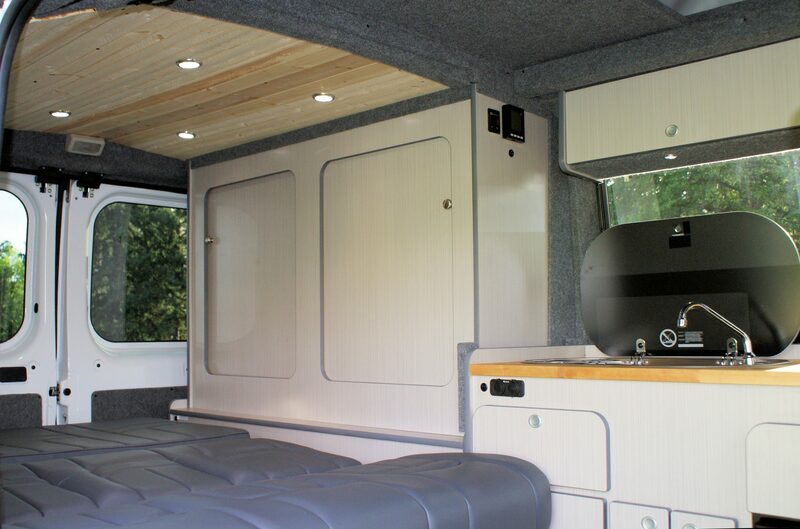 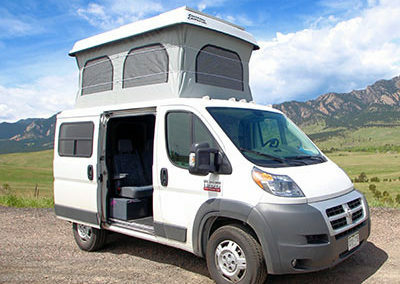 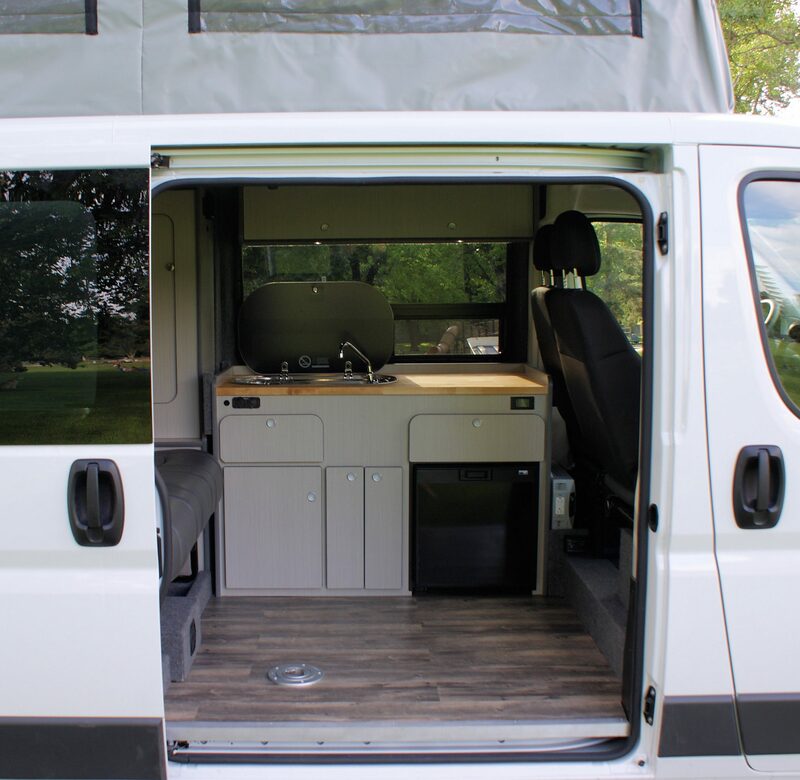 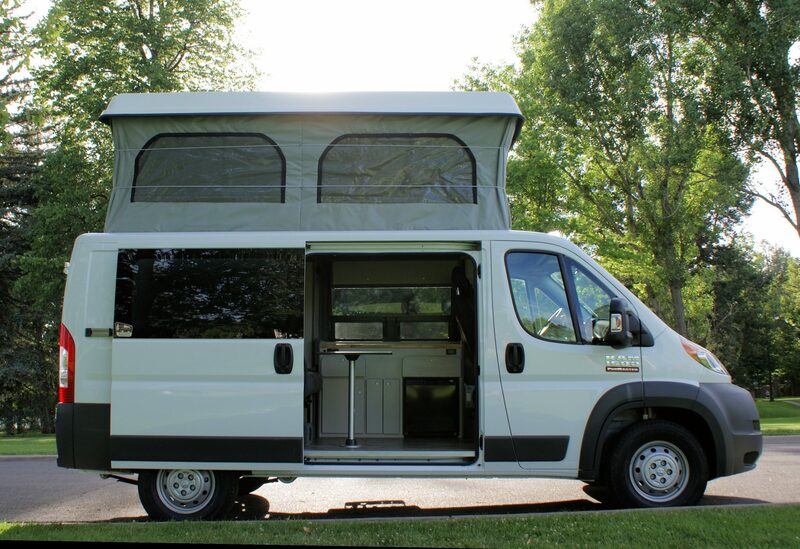 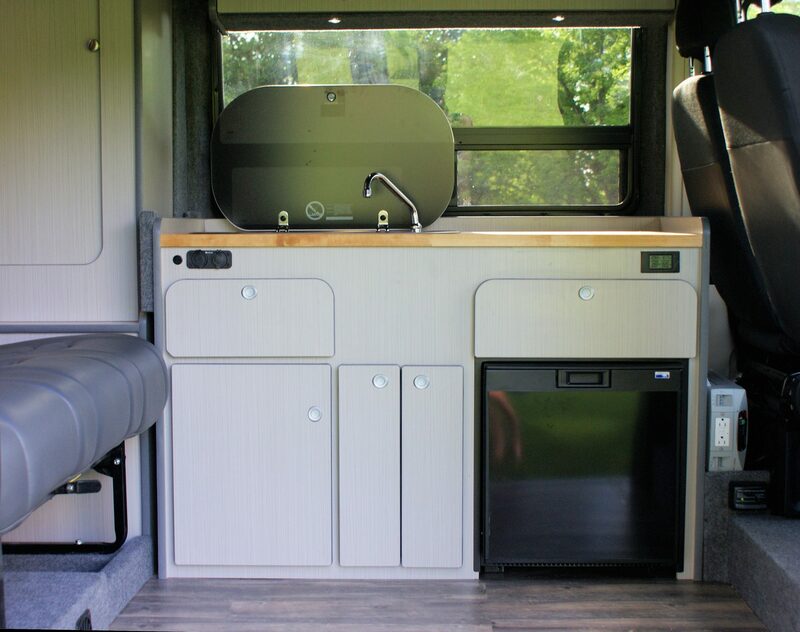 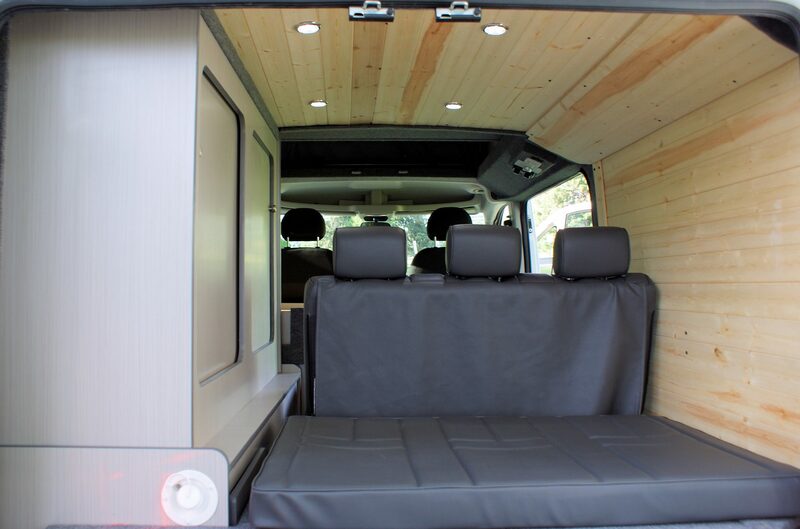 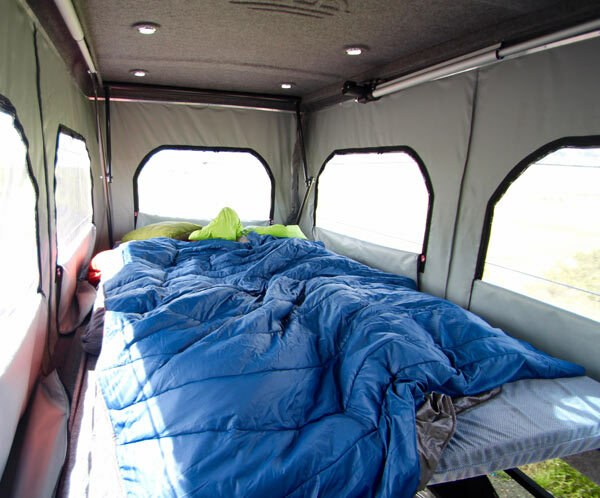 The Dodge ProMaster custom pop-top campers are the most luxurious member of our fleet. 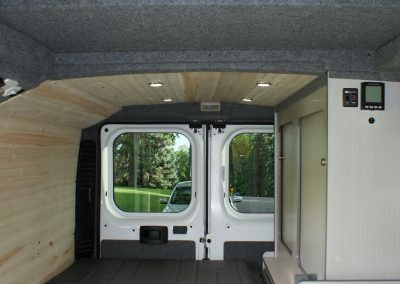 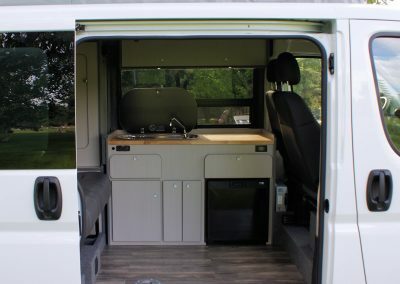 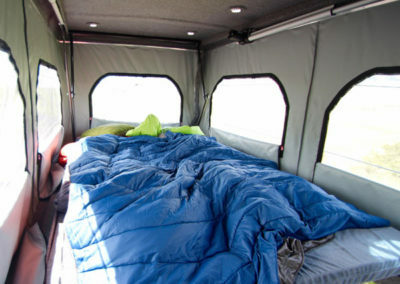 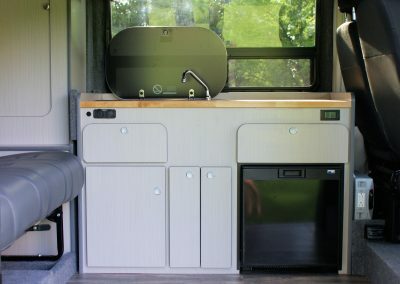 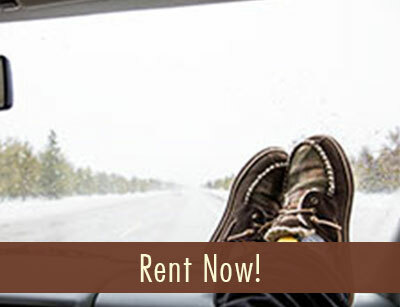 Each custom campervan conversion done by Colorado Campervans available for rent during all four season. 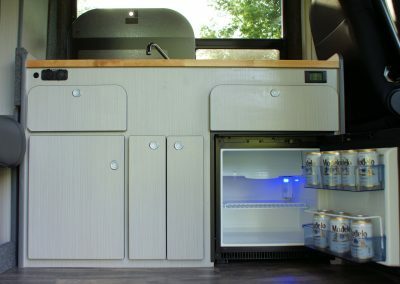 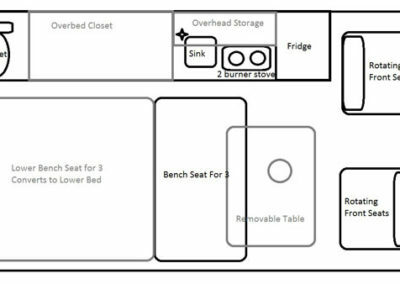 Still the size of a small camper – but it has seating and sleeping room for 5 (2 adults and 3 children) with the custom pop-top. 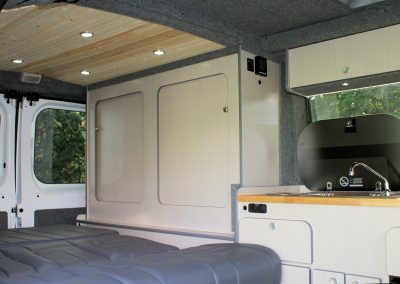 Rear bench unfolds in to a second bed. 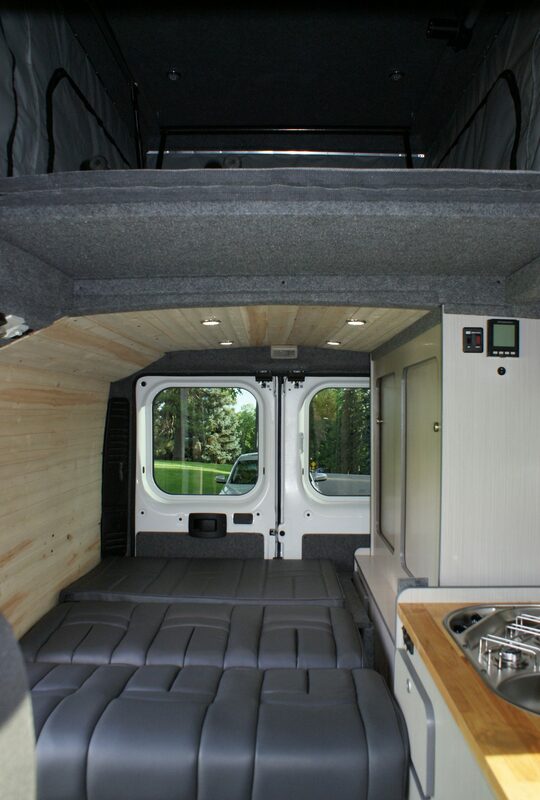 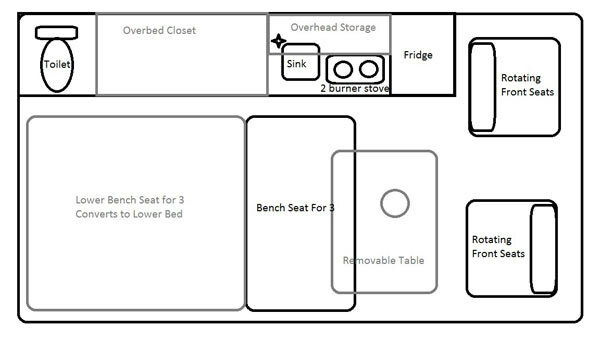 Plenty of built in storage and cabinetry.